If you’ve been trading for any time, you will almost certainly have come across the concept of support and resistance. This powerful and simple concept lies at the heart of technical analysis. It forms the cornerstone of price action trading. It is these two powerful concepts which come together in the Quantum Accumulation and Distribution indicator. It is the act of accumulation ( buying ) over a sustained period which creates the support region, whilst the act of distribution ( selling ) over a sustained period creates the resistance region. Having the power to see both, gives you unparalleled insights into price behaviour at these key levels, and the confidence to forecast future market behaviour as a result. 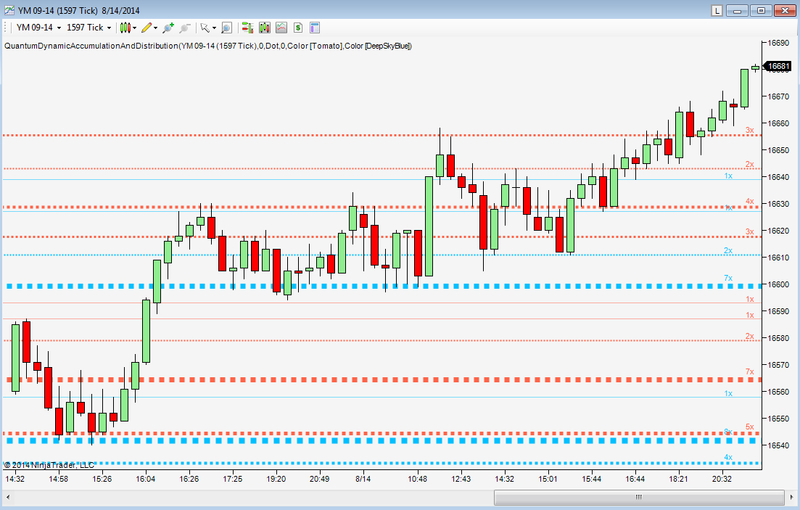 Most traders still draw their lines manually, leading to a crude interpretation of these key levels. Even those companies who have developed a trading indicator, have developed an equally imprecise tool. No doubt you’ve seen them. 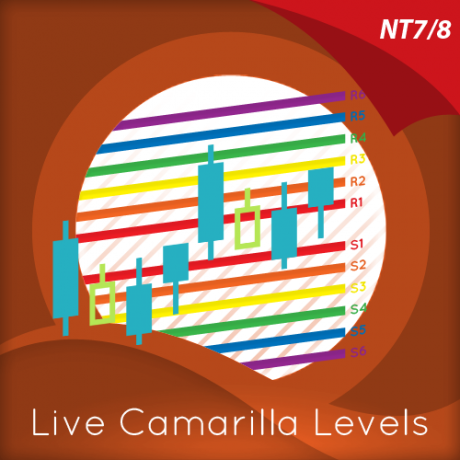 Generally these appear as wide bands on the chart, indicating vague areas of congestion, with associated support and resistance bands. These are virtually useless. They lack precision, or definition. So, why has no one ever considered accumulation and distribution and the associated support and resistance as dynamic? After all, wouldn’t a dynamic indicator deliver high quality information where you need it most – at the live edge of the market? Well perhaps no one has ever thought about it in this way before. After all, price action is dynamic. 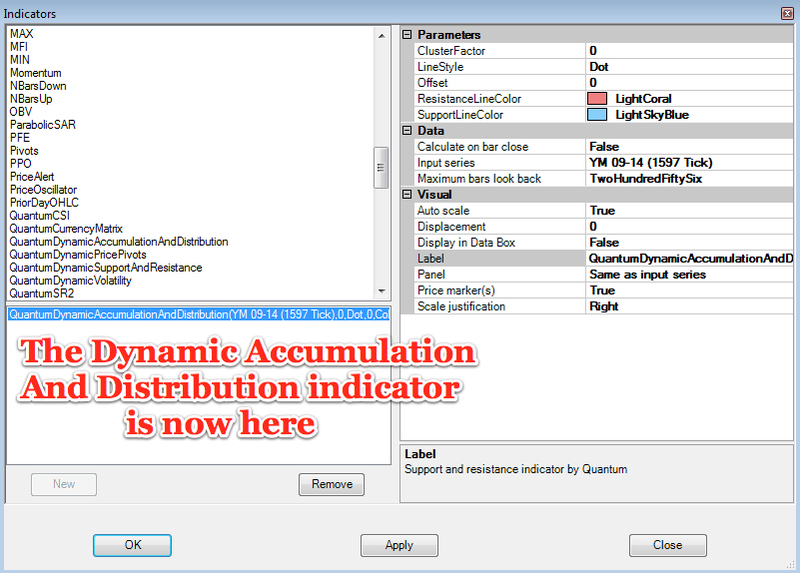 Well, that’s what we thought too, and here it is at last – the Quantum Dynamic Accumulation and Distribution indicator. The first, and only dynamic indicator in the world which displays two things simultaneously. The regions of accumulation and distribution, and from that, the associated price levels of support and resistance. Even more so, it also displays the strength of these regions, the number of times they have been tested, and from which direction. This translates into a visual picture of the accumulation and distribution zones. 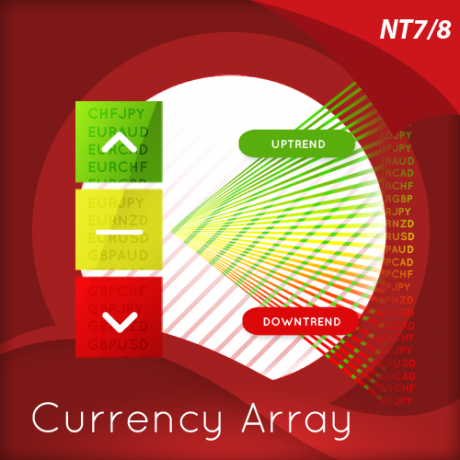 Finally, on your NinjaTrader platform, you will have an indicator that truly defines, with pinpoint accuracy, those areas of price support and resistance associated with accumulation and distribution which are so important to you as a trader. Every market behaves slightly differently. They each have their own price characteristics which are then reflected in the price action, which in turn is reflected in the dynamic accumulation and distribution levels. So, once again, we have included your own fine control. 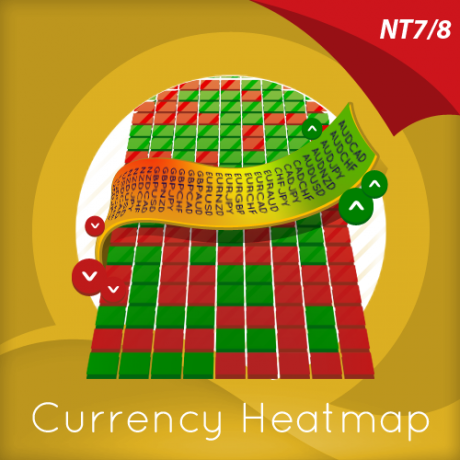 Using the custom option, you can increase or decrease the number of zones that appear on each chart, to suit your own trading style and approach. Some traders prefer more detail, others prefer less. The indicator caters for everyone. It’s a personal choice. It simply means you have full control to customise the indicator the way you want it. Matching the tool to the job means greater consistency and greater profitability. 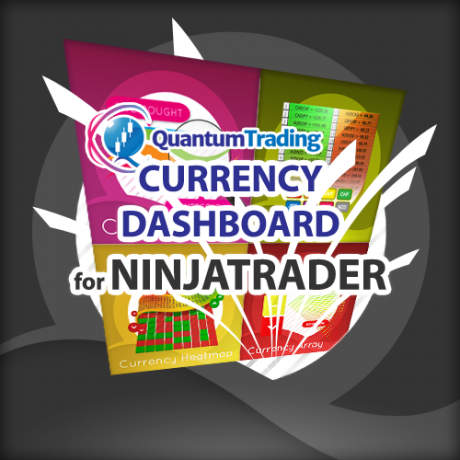 The Quantum Dynamic Accumulation and Distribution indicator works in all timeframes from tick charts to time based charts, and from minutes to months. ClusterFactor – this parameter is a constant in calculating the size of groups or clusters of zones generated by the indicator. It gives you full control over the number of accumulation and distribution zones that appear on the chart. 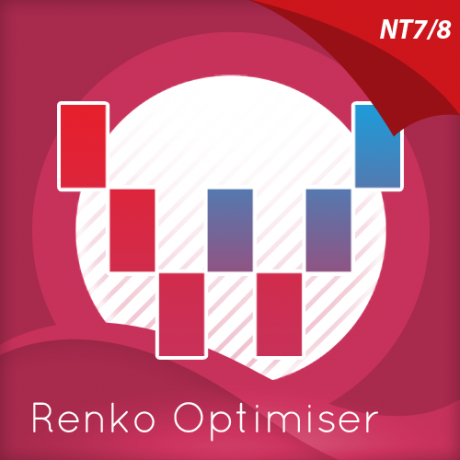 Increasing this parameter causes the indicator to reduce the number of zones from the default of 0. Place your mouse on the ClusterFactor label, and left click. This will highlight ClusterFactor in blue. 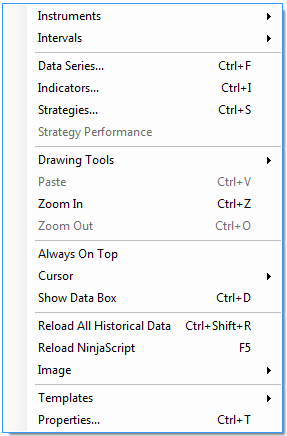 Left click in the value field alongside and your cursor will appear. 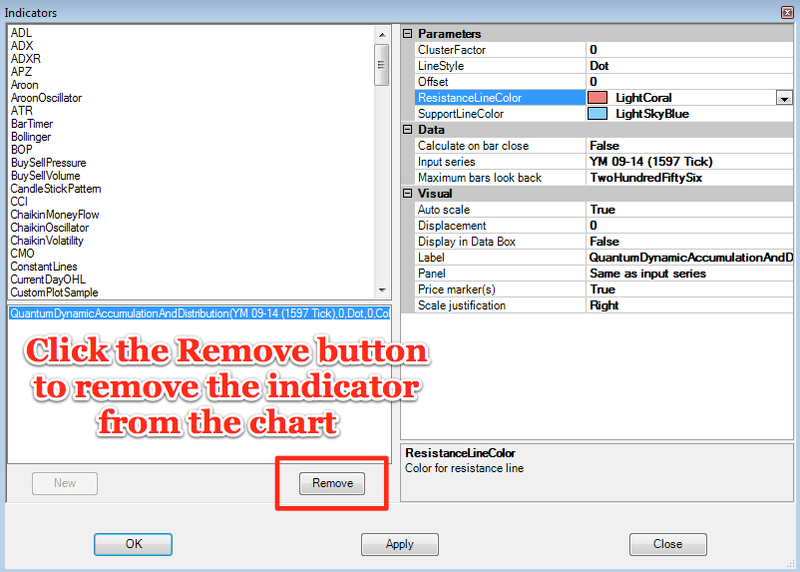 Delete the default number using the back button and enter a new number, such as 20, 30 or 50 and above to reduce the number of zones on the chart. 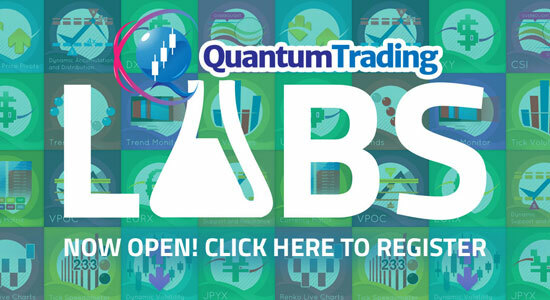 The number to enter will vary from instrument to instrument and from chart to chart, and also whether you are trading using a tick chart or a time based chart. Place your mouse on the Offset label, and left click. This will highlight Offset in blue. Left click in the value field alongside and your cursor will appear. Delete the default number using the back button and enter a new number, such as 10 to increase the indent from the right hand side or 100 if you prefer them over to the left of the chart. 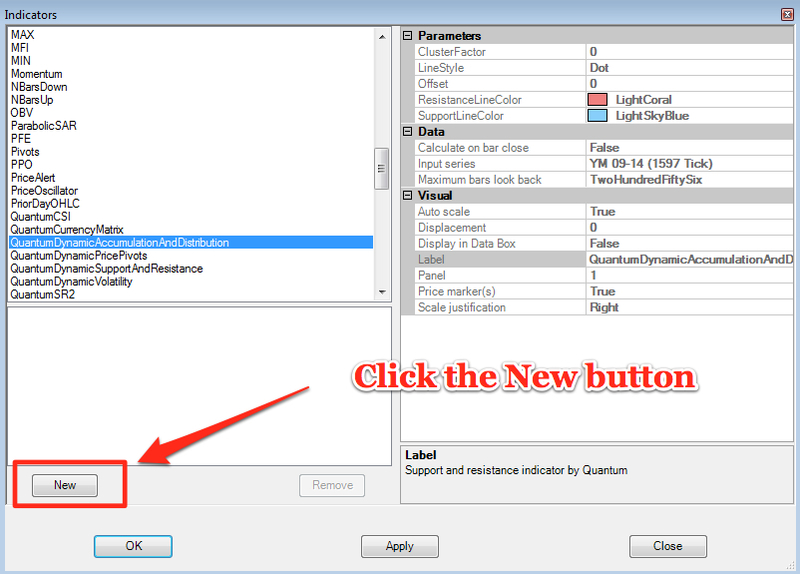 left click on the ResistanceLineColor label which will turn blue. A drop down arrow will appear in the value field. Left click the drop down arrow and the color options will then be displayed. Use the scroller on the right to select your preferred color which will then appear in the value field alongside. left click on the SupportLineColor label which will turn blue. A drop down arrow will appear in the value field. Left click the drop down arrow and the color options will then be displayed. 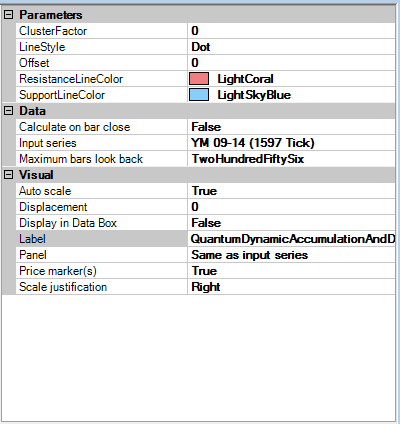 Use the scroller on the right to select your preferred color which will then appear in the value field alongside.